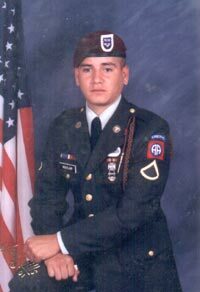 PFC Frank Aguilar III, a graduate of MacArthur High School Class of 2000 is a medic in the 82nd Airborne Army stationed at Fort Bragg in North Carolina. He is now on alert and wants everyone to know that he will do the job for which the Army has trained him. He sends his love to his parents Frank and Flora Aguilar family and friends.